We had our first clothes recycling event at the L6 Hub last week. 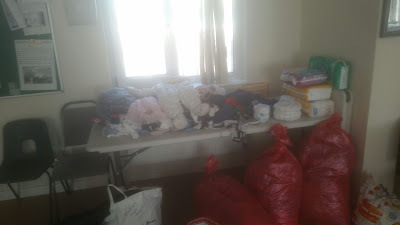 The people in the area were very generous with their clothes donation. Although we didn't get as many people as we would have liked (it was the warmest day of the year so far) it was great to meet some lovely people who live in the area and the kind words what they said about the event. We are certainly looking forward to working with the people from the hub and the community in L6 in the near future.